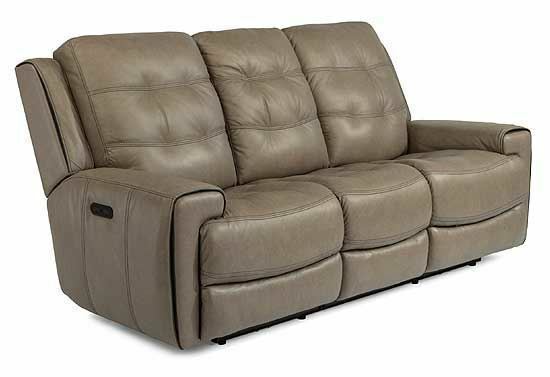 The Wicklow Power Reclining Leather Sofa features a contrasting seam in a complementary shade gives a pop of color along the front shape of the arm and the recessed back wings. Wicklow’s frame is also highlighted with horizontal seams and puckered stitching contouring the back and seat cushions for a beautiful eye-catching effect. A power reclining mechanism lets you change angles effortlessly from an upright to a fully reclined position, and a dual power button allows you to independently adjust the headrest for custom relaxation.